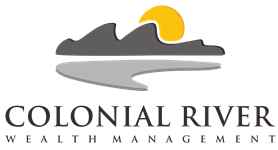 Eric Garofalo is an insurance agent with Colonial River Wealth Management. He studied Business Administration with a focus on Computer Management at the University of Utah. He has spent the past 15 years in design, print, and marketing. He and his wife Joanna have 4 children - Josh, Ava, Julie, and Emma. Some of his hobbies include photography, cooking, snorkeling, cycling, and traveling.